9:30am – 11:00am, Meet us in the All Purpose Room for games, crafts, and activities. 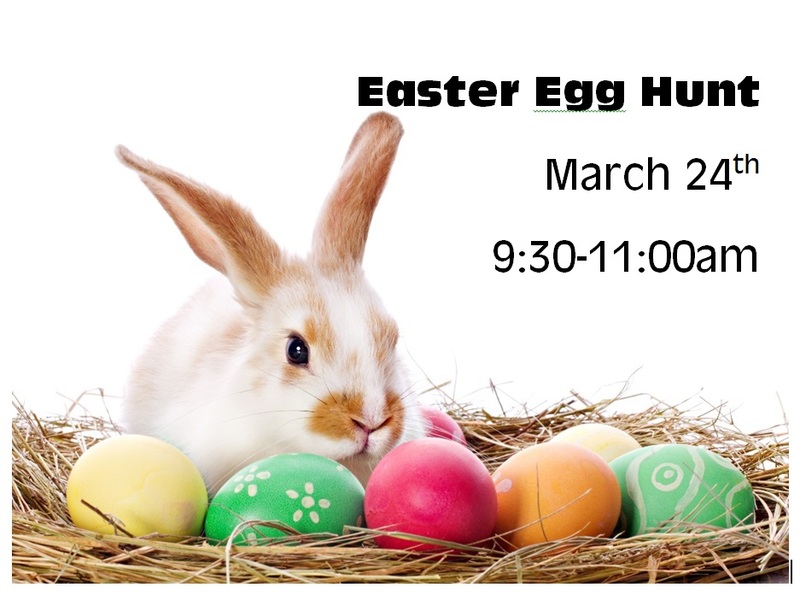 Bring your camera for pictures with the Easter Bunny and your Easter basket for the egg hunt. The hunt will begin at 11am and lunch items will be available afterwards! Maundy Thursday is observed as a commemoration of the Last Supper. 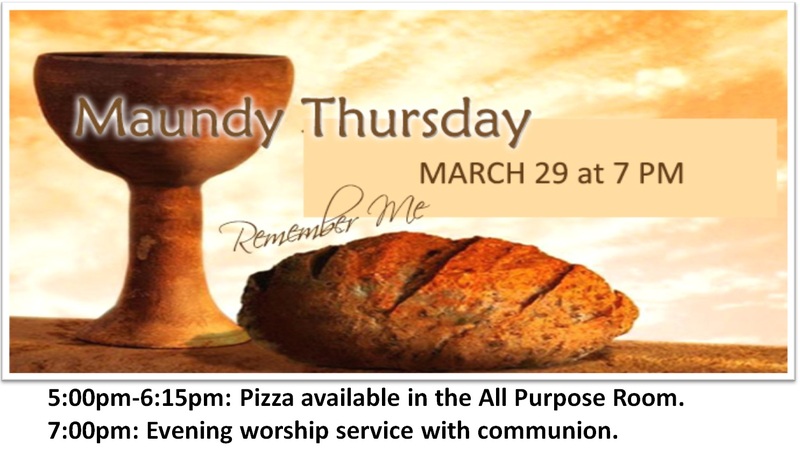 Join us any time between 5:00-6:15pm for pizza in the All Purpose Room. Service and Holy Communion will begin at 7:00pm. 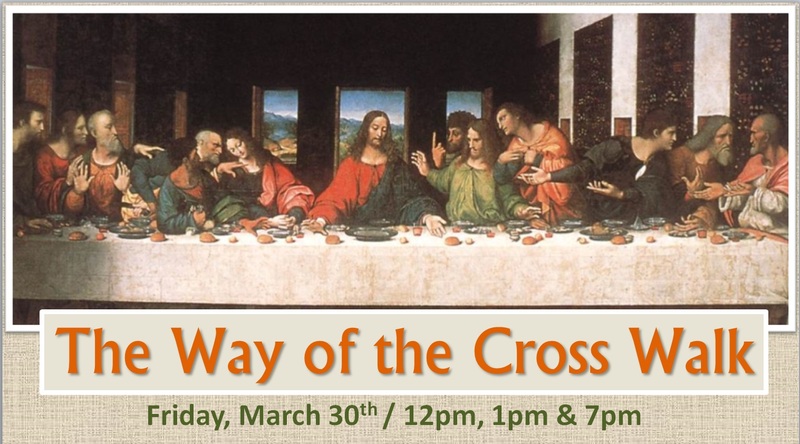 Walks start at 12:00pm, 1:00pm, and 7:00pm, “The Way of the Cross” is a mindful devotion which remembers Jesus’ journey to Calvary. Each walk consists of nine stations throughout the church, starting in the Narthex. Each station represents a stage of this journey starting with the end of the last supper through the death of Jesus on the cross. Remembering Jesus’s suffering and death allows us to understand the power of God’s gift of forgiveness through the resurrection of His son. A time to celebrate the resurrection of Jesus! Join us for Sunrise service at 7:00pm, which will be hosted by our youth. Easter breakfast will follow in the All Purpose Room at 7:30am. 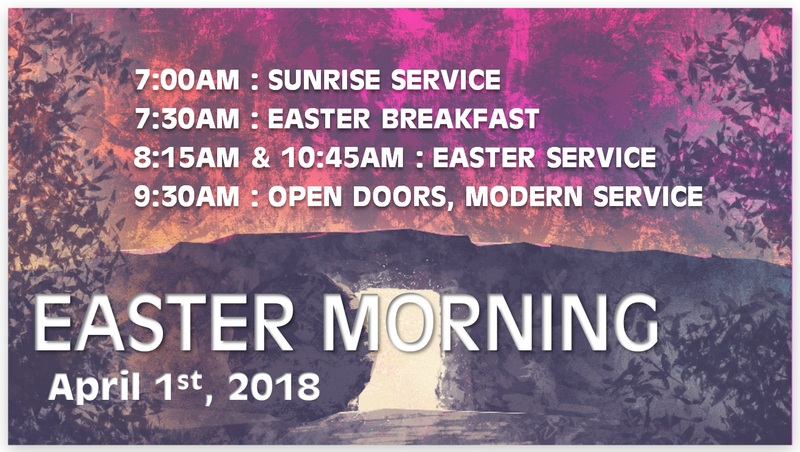 Standard services will be available at 8:15am, 9:35am (Open Doors/Modern Worship), and 10:45am.